Early this spring I started wading through all the cupboards in my kitchen, trying to pare down the excess gadgets and things that I didn't need or use. That's a tough thing to do sometimes. I had a lot of things I might only use once or twice a year, but ... I still do use them. In the end, I had to keep a lot of those items, but I did manage to get rid of a few. 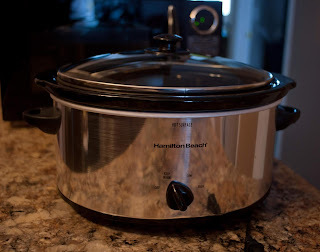 At one point, I think I owned 7 or 8 crock pots (slow cookers) ... I had gathered all of those over the course of 5 or 6 years. 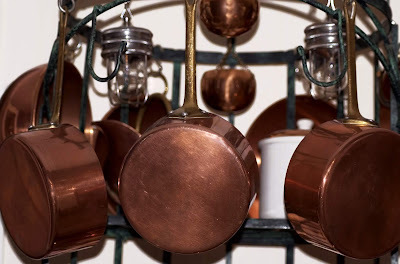 I had one that was given as a shower gift before we got married (so, about 43 years ago) and I still use that one (more than most of the others) and the balance came from various garage sales over the years. Why? Right? That's because when we did family dinners I got tired of spending all my time in the kitchen and then, by the time I got dinner, it was cold. 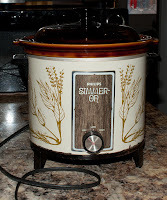 The crock pots allowed me to to prepare everything just ahead of the dinner hour and I could eat with everyone else. 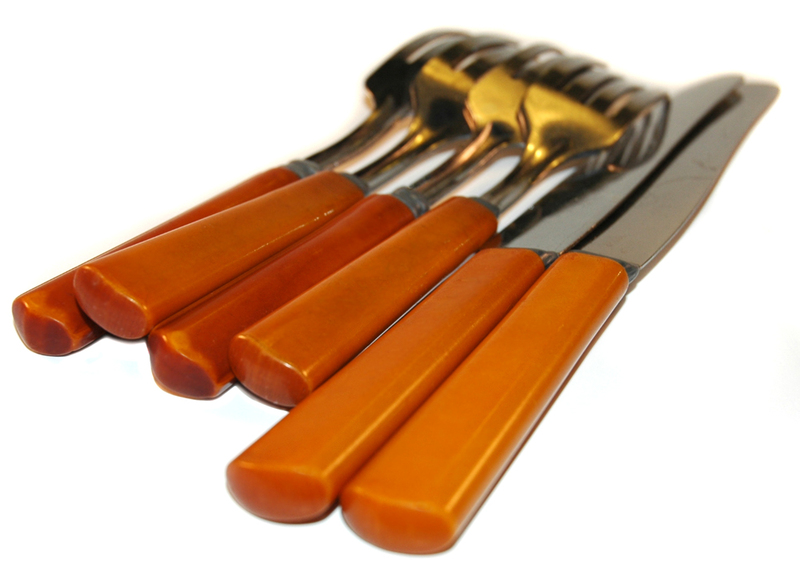 What made it handy, apart from everything being hot as people served themselves, was also that second helpings were still hot. As time went on, I had less need for that number of crock pots. I pared way down, and now have 4 crock pots, and the turkey roaster (it doesn't get used that much either, because now our kids do most of the holidays and we just go there instead). My favourite (and oldest) crock pot. The roaster is still pretty useful though because it allows me to cook an entire meal in one "pot". Plus, the roasting oven can be put outside on a small table and it won't heat up the kitchen in summer. Pretty handy, so it was worth keeping for now. 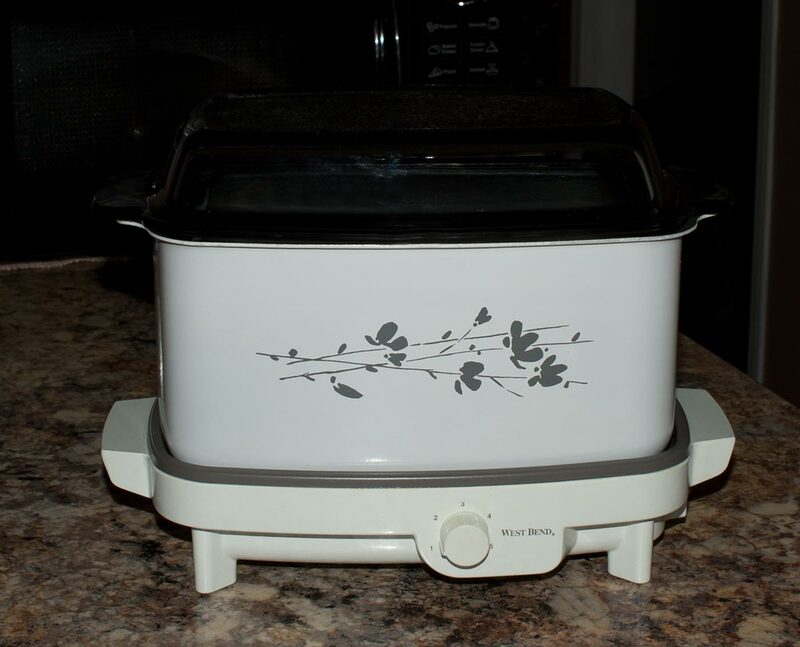 Each of my kids also received one of these large roasters as part of their Christmas gift one year, so eventually I'll need to pass it on (maybe to a granddaughter or neice), or get rid of it altogether. 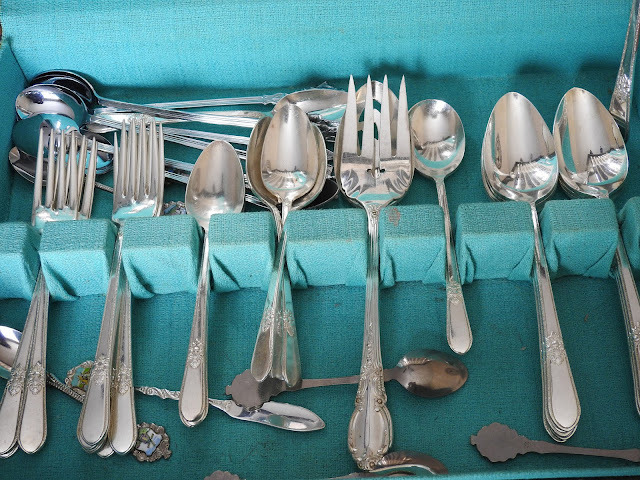 I also got rid of an abundance of silver-ware (not "flatware", but silver dinner servings in the wooden box) which I never used. 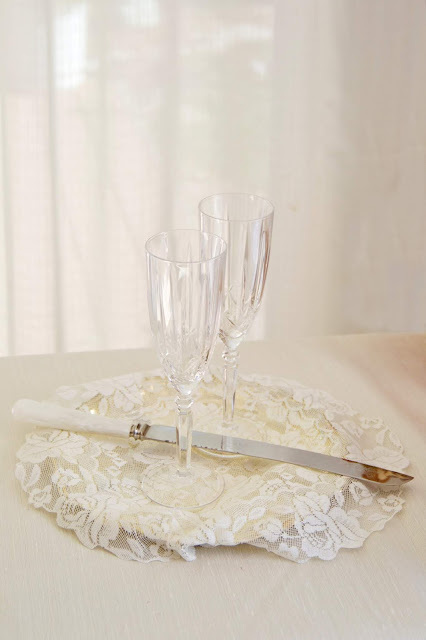 And then there was the over-abundance of dinner sets. I had 4 or 5 sets of dishes ... some quite large. 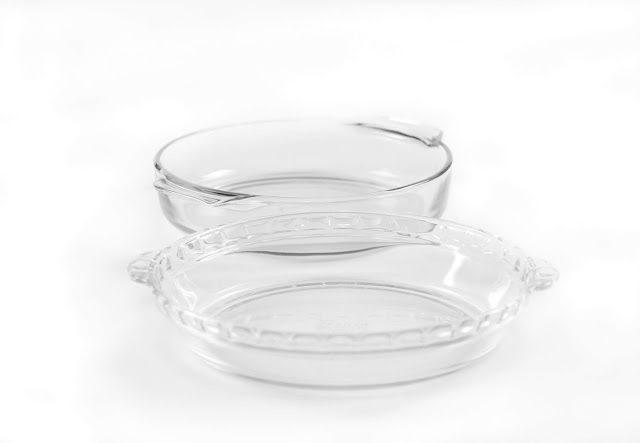 To be fair, not all of them were mine in the beginning but over the years between my family and my husband's family we had inherited a LOT of dishes. I was swimming in them, most of which I didn't actually use. All this stuff stored in kitchen cupboards and a huge 7' long china hutch ... just taking up space. In the end, I had to make some hard decisions. 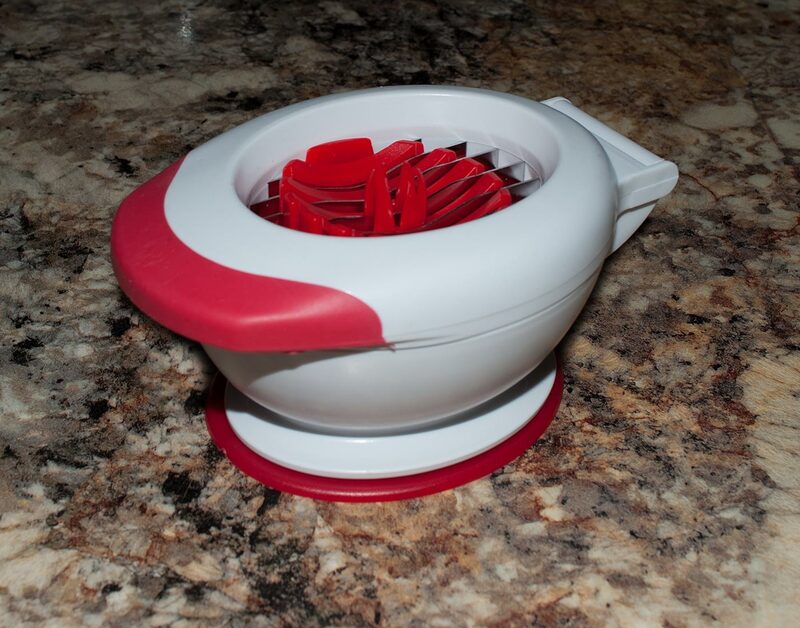 I sold off most off it, keeping only what I felt I would use. As you get older you realize that what your kids don't want, they'll be stuck trying to get rid of when your time comes, and I don't want to stick my kids with all that stuff. I've been through 3 of these household clean-outs with our family, so the less we have when we either pass on or move into a nursing home, the less the kids will be stressed out with our junk. The households we had to clean out were 50 or more years of people's stuff. Who would have thought old folks would keep all their kids stuff? There were things like report cards, Sunday School papers and lessons from 50 years ago, along with old bank books, receipts, gadgets we couldn't figure out, old tools ... if you can name it, we probably found it. And ended up having to dispose of a lot of it. 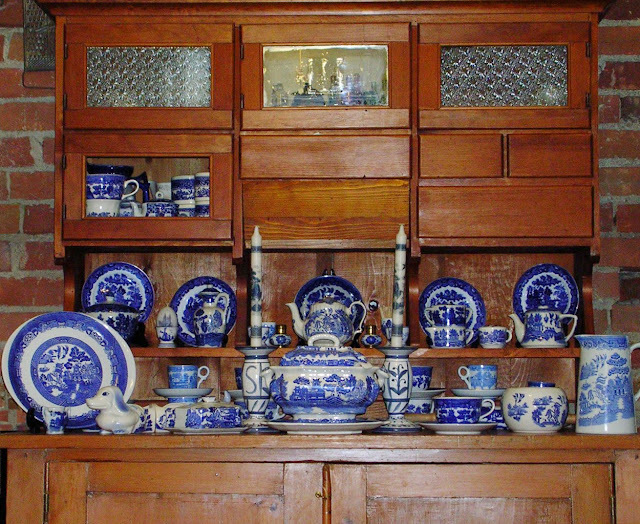 Okay, enough whining about the full cupboards. On with the kitchen stuff ... or some of it anyway. 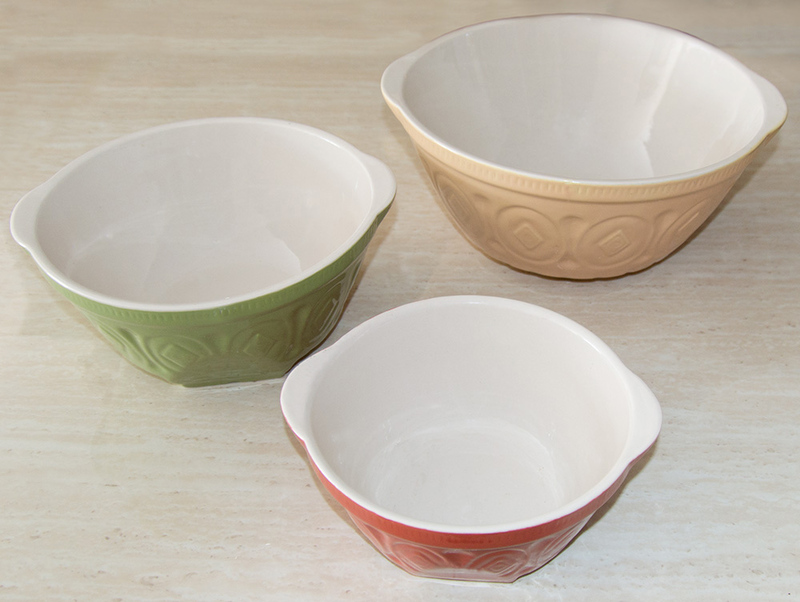 Reproduction ceramic mixing bowl set. 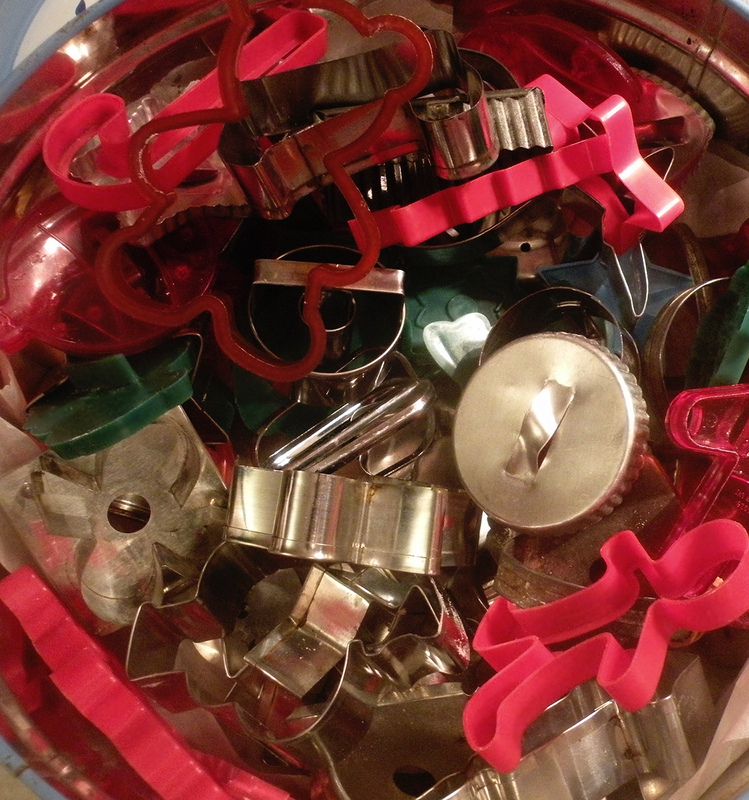 Lots of cookie cutters; some vintage, some newer, all still used every year at Christmas. 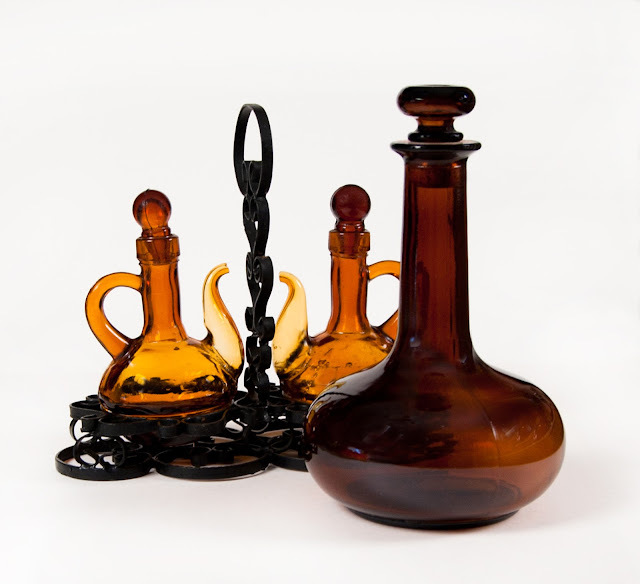 Amber glass cruet and water or wine jug. 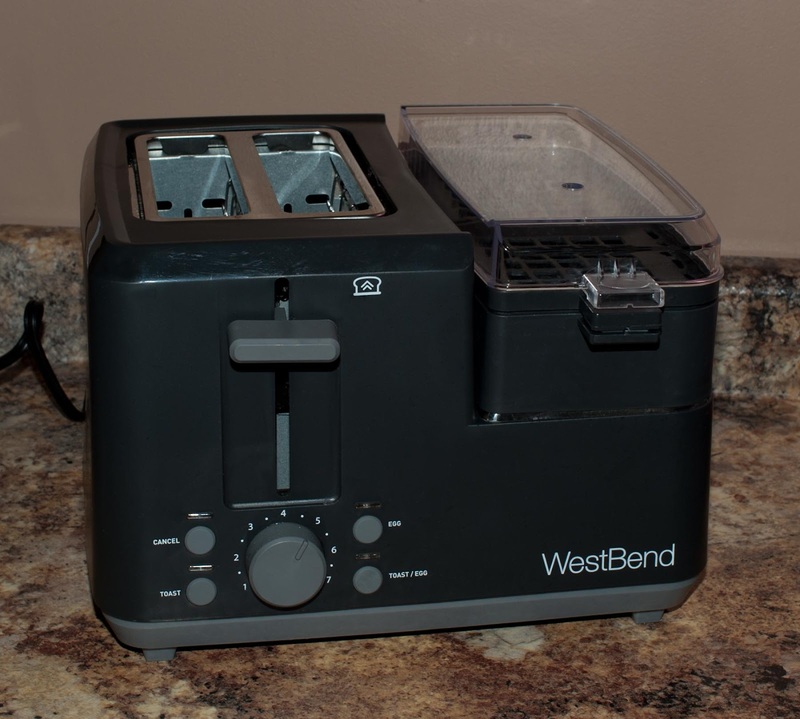 New to our kitchen, this combination egg cooker and toaster is very handy. Odd little gadget slices strawberries. 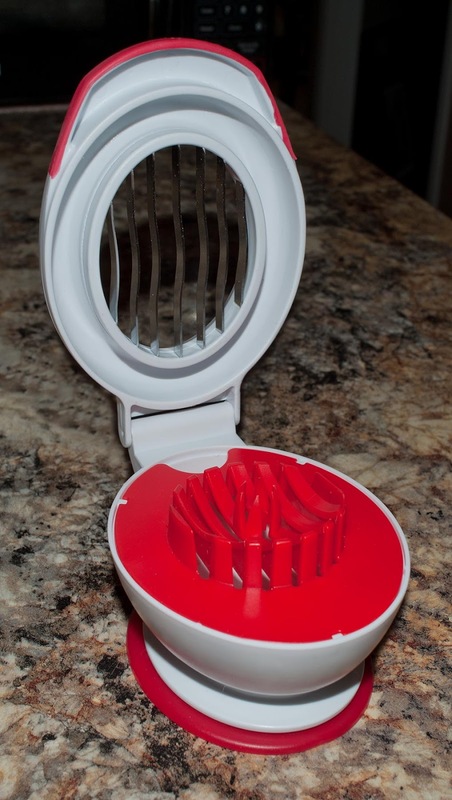 The open strawberry slicer, reminds me of the old egg slicers. 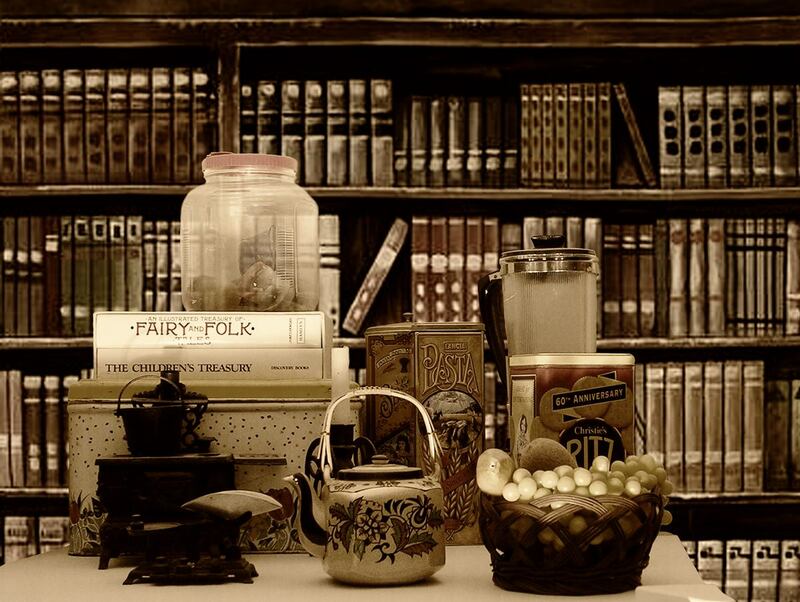 Vintage kitchen items, from the iron stove (salesman's sample) to the old teapot and blender. Well, that's a few of the things ... some we still have and use, some have been donated, given away, or sold ... but even just looking at those few pictures one could deduce that we had way, way, way too much for a family of two people!